Our Brantford mobile locksmith is here to address any problem with your locks & keys. Call us to install, repair, rekey, and replace locks. We can change them urgently and suggest the best measures for improved security. By traveling in well-equipped trucks, our mobile experts are able to sort out any key problem too. Whether you’ve got trouble with the transponder key or broken house key, we will handle it. What makes Locksmith Brantford an ideal choice for all services is our capacity to respond very quickly and address any concern effectively. Our emergency company provides 24 hour locksmith service. We will be at your home, in your company, and to the location of your car to address any issue. Call us 24/7. You can always contact our company for any other service. 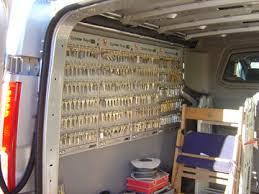 You can schedule any mobile locksmith service with us. No need to wait for urgencies to happen in order to get in touch with us. We are mobile just to make sure your needs are covered fast. Since we are knowledgeable and fully equipped, we can do anything for you. Let our mobile locksmith know what you need! We are here to increase security by offering tailored solutions for your property. Our team is at your disposal whenever you need a pro to handle key & lock concerns. Whether they are urgent or not, remember that our mobile locksmith in Brantford is only minutes away. Call us now.